Copyright © Simone e Giorgio Boscolo collection - This image is copyrighted. Unauthorized reproduction prohibited. 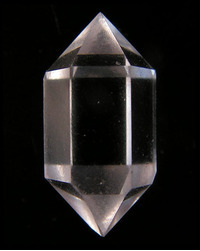 Quartz of 15mm. Simply perfect in habit and transparence. 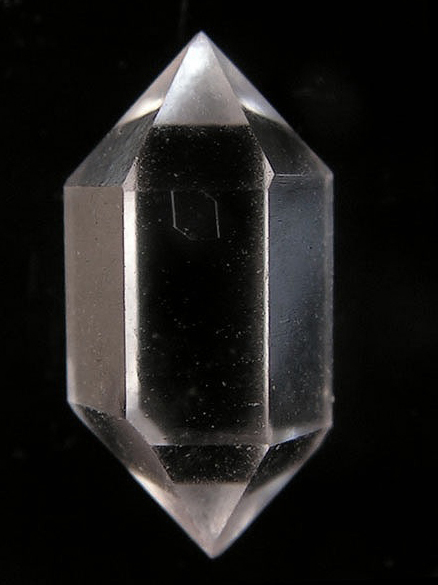 An archetypical quartz crystal of this locality. Self collected in October 2008. Now in Alessio Becucci collection. 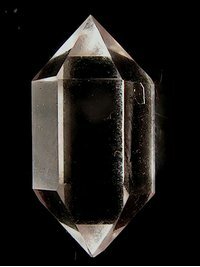 Crystalla emittit lucida montis opex. Non illis, adamas certet se lumine, forma Cuspidibus mira, fertilitate parem""